Yes, you read that right. Video-based backgrounds — motion pictures. Another great example of the convergence that’s been happening with the TV, the telephone, and the computer. Responsive design is a concept where you build your website once and then format it so it can adapt to any screen size that accesses it. Designers use HTML5 and CSS to build the sites and set parameters so the content will resize itself whether the user is in vertical or horizontal viewing mode, on a tablet, desktop or smartphone or even a screen as large as a television. Our content team reviewed the list of more than 370 courses we published this year to create a retrospective of some of our most popular, timely, and innovative courses of 2012. If you missed these courses the first time, be sure to check them out now! Now Adobe is launching a new suite of apps for web developers working with the latest web standards. As part of the announcement at Adobe’s Create the Web conference in San Francisco the company also showed off a demo of the still-in-development Edge Reflow, a new tool for working with responsive design layouts. 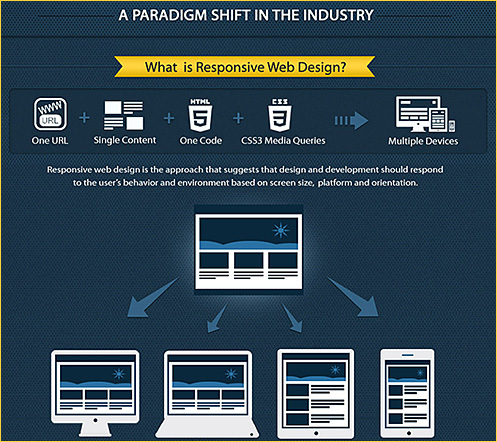 Many either don’t understand responsive web design or have never heard of it. Responsive web design is essentially one website which can work on many different screen sizes, instead of having one website for the desktop and one website for mobile/tablets. It looks to be the next phase in web design and it’s being adopted quite rapidly with the explosion of mobile phones and tablets. One or two of you have asked me if I would ever make UltraLinx responsive. I’m currently not looking to do it purely because under 5% of the sites visitors are on mobiles/tablets. Most of people who read UltraLinx, read it on RSS apps such as FLUD or Flipboard. When the time comes to redesign UltraLinx, I will definitely implement responsive web design then. A much-talked-about way to go mobile is responsive design. Some big brands are using this method, and a lot of advocates are calling it the best solution to fit to mobile. But is it really ideal? It is certainly an option, but it’s extremely case-based and probably rather just functional than ideal. 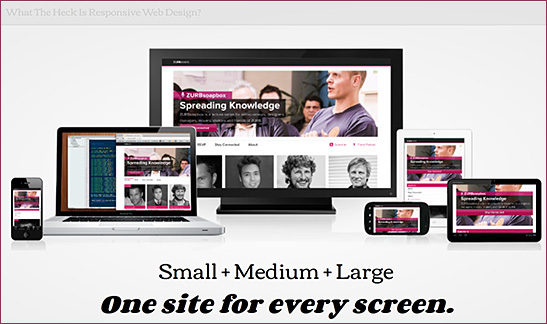 The function of responsive design is simply adjusting all content of the desktop site to any screen size possible. But ultimately, the mobile experience should be for the mobile audience, which is different than the desktop audience. The mobile consumer is usually on the go, which results in very different browsing behavior. Page views and time spent on a site and/or a page are dramatically smaller than for desktop. Responsive design does not recognize the mobile context — it just adjusts the size. The question is: Is the mobile consumer really going to want to look at all the content your desktop version is now providing? The key to a fast and pleasant mobile experience for the mobile audience is a clear, good-looking and simple design with features that are most important to the user.